With more than 15 years of design experience, I have learned that every project is an opportunity to learn, grow, and make some professional connections. Here is some advice with real-life examples of how to make the most out of a project when things are going smoother than a fresh jar of Skippy OR rougher than a sandpaper massage. There are many reasons a project could be going well: great team dynamics, clear vision, precise direction, awesome clients, this list can go on and on. When a project is going well and as planned for a long period, the outcome is usually the same: a consistent, manageable work stream that rarely has any surprises, which is great. However, during these blissful periods, it is easy to rest on your laurels and let what makes you a great designer take a back seat. For myself, it is important to take advantage of these good times and create an opportunity to extend yourself beyond what is required. Learn something new and challenge yourself — during month 4 or 5 of a well-establish project, everyone on the client side and the CodeScience side had well-defined roles and expectations. Things were going so well that it afforded me the opportunity to volunteer to build out the custom Lightning components based on the designs I created the previous sprint. Since I was new to Salesforce Lightning Design System (SLDS) and had yet to develop custom code on the platform, I wanted to expand my skill set and provide the client something valuable. Choosing to do this rather than taking it easy allowed me to develop a skill set and improve my knowledge of how custom UI is created using SLDS, which in turn makes my product design skill that much stronger for this and future clients. Surprise and delight the client — people really appreciate appreciation. I like to take the time to personally thank clients that were a pleasure to work with and explain in detail why they were helpful to work with when I have a little extra time. You never know what kind of day a person is having so a surprise “thank you” or “you’re awesome” can go a long way to making someone’s day better. Also, when projects are going well, I think it is always a good change of pace to surprise the client with an extra/alternative design mock or take an idea further than requirements based on some user insights that were discovered. By not allowing myself to be complacent I can go beyond expectations and do something unexpectedly awesome. This often sparks a new level of conversation with the client or helps further shape the project in unexpected ways. Lighten a teammates workload — sometimes a project may be in a design lull or not have an active design to work on until approvals make their way back. But other team members might still be grinding at full speed; whenever this happens, I like to step in and see if I can help out — especially if it’s on the client side. Sometimes it may not be ‘true’ design work, but the simple act of consideration and empathy to another person plight is always received well. Discover the REAL problem...usually, it is not about the work — It is important to remind yourself that every day, everyone has their own personal struggles going on outside of the project and work. These struggles WILL affect the project. I can recall a good example of this happening with a client's lead developer that I worked with on a large, difficult project. In meetings, he was defensive, short-tempered, and would be dismissive to any design changes that would require development time. He quickly gained a reputation for being an unreasonable obstacle. That is until one day during a design demo he was working from home and we could hear a small baby crying in the background. He quickly muted his phone and apologized in the chat for the loud noises. I stopped the demo and told him there was no need to apologize, my kid was way louder when he was first born and that he was lucky. All the parents on the call (and there were quite a few) laughed and chimed in with their baby stories. As it turns out, this was his first child (8 weeks at the time), he was tired, and he was only defensive about changing because it was hard keeping pace at work with the new baby and lack of sleep. Don’t take it personally — this can be difficult to do, but it is necessary. In my experience, I have found that often times any attitude or negativity that you may feel from the client is anything but personal. There’s usually something else going on — like internal corporate politics, the pressure to deliver quickly, or miscommunication on the client side. I recall a great example of this happening on a long-term project that had an internal design team and design director. The design director would appear to the untrained eye to be a rude, uncompromising person; but, after some thought on the situation and digging deeper into the history of the project before our team was brought on, I found out that there was misalignment on the client side internally. His team had been ramping up from months to build a completely custom web application and then they were told it needed to be on the Salesforce platform a few days prior to our team starting and were given no background of the platform features from their side. If I were in his shoes, I may be a bit defensive and annoyed too. So whatever rude comment or jab came my way, I realized it was not at me as a person, just the unwanted change I represented on the project. Knowing that made it easy to ignore any negativity that came my way. Understand the reason the project went sideways and figure out what is in your power to keep that from happening again — At the end of a project that went south, the most important thing you and the team can do is reflect on the outcome and understand why that came to be — namely, a retrospective. As a Product Designer, I’m used to presenting ideas and getting feedback, so I know that feedback is the quickest way to iterate and improve a design; the same can be said for retrospectives. What were the choices I had control of that I could have made a better impact? What could I have done to mitigate any negative outcomes? Taking the same example I mentioned previously with the challenging design director, what could have been done to smooth things out with that individual and their design team? I think an in-depth explanation of the platform, as well as the reason it was chosen, would have gone a long way to preparing their team and setting expectations. From now on, I make sure to demo the platform design features to clients whenever I learn they have little knowledge of it — so I can take their feedback and apply it, making my design processes better. You won’t catch me slipping the same way twice! I hope these stories and tips help anyone that works on teams to create functional products find the opportunities to shine whether the project feels like it is sinking or sailing! At CodeScience, we pride ourselves on being more than a development shop. 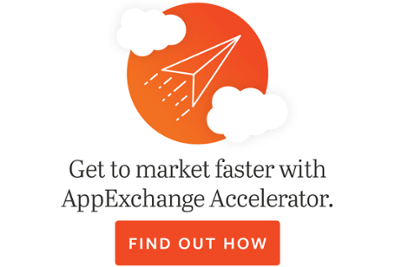 We are a partner that guides our clients from start to finish to launching on the AppExchange. Whether you’re just starting your journey, or are looking for ways to make your existing product better, we are here to help — get in touch today!